← Why Does Everyone Hate Martin Shkreli? In my fieldwork at the Cardiology Unit at Vilnius public hospital I encountered what I call “the cake case.” In 2009-2010 I was in Lithuania to study how medical care was transforming as the state embarked on health care reform that aimed to rationalize and privatize public services. In particular, the neoliberal reform projects targeted informal payments, or “bribes,” that were prevalent in public health care. The state sought to transform these transactions into a system of transparent co-payments, one of many efficiency-producing transitions underway, including the introduction of private health care insurance and increasing the number of private clinics. Meanwhile, I was observing how doctors, patients, and their relatives engaged in ambiguous practices of giving that policy makers and some scholars would define as non-transparent, informal, and corrupt. The cake case helped me understand how multiple forms of care coexist in any exchange, such that what counts as efficient and acceptable care is not stable or solid. “Did you see that?” nurse Violeta asked another nurse and a resident at the nursing station when a tall and sizable woman in high heels, carrying an oversized black bag, marched into the four-bed male patient room. They nodded. “What do we do now?” asked Violeta. Her colleagues rolled their eyes. The medical staff was clearly uncomfortable, unsure of how to react to the situation. Shortly afterwards, the woman emerged from the room proudly carrying a large chocolate cake with a red rose on the top and entered the nurse assistants’ office. I recognized the woman, Galina, as the wife of a man in his late fifties who had been hospitalized twice in the previous two months. He was a former alcoholic with a liver condition that further complicated his heart problems. After both of his previous discharges, Galina brought three cakes as a gesture of gratitude. After the first time, nurse Violeta thanked Galina and told her that it was “really unnecessary.” Later she explained to me that the patient’s family was barely making ends meet: the warehouse where Galina worked was cutting hours, her husband’s disability payment was very modest, and their heating bills were increasingly high. “She is a good baker, I gave her extra diapers,” the nursing assistant Irena added. “I packed an extra supply of medications for the poor woman, she has to suffer because of that alcoholic,” concluded Regina. In the cardiology unit, patients from across the economic spectrum waited for pacemakers, medications, and tests, or were recovering from heart surgeries. All day long, family members, friends, and acquaintances came and left. Many of these visitors brought their favorite foods – not only for the patients, but for the medical staff as well. Boxes and bars of chocolate, coffee, cakes, home-made cottage cheese, jars of honey, apples, and smoked meats and fish were objects that patients and caregivers offered to the doctors and nurses. I saw bottles of wine and brandy visibly sticking out of paper and plastic bags. A few times I smelled smoked eel, ham, and sausages. Their smell sharply contrasted with the blandness of sterility and of hospital food. 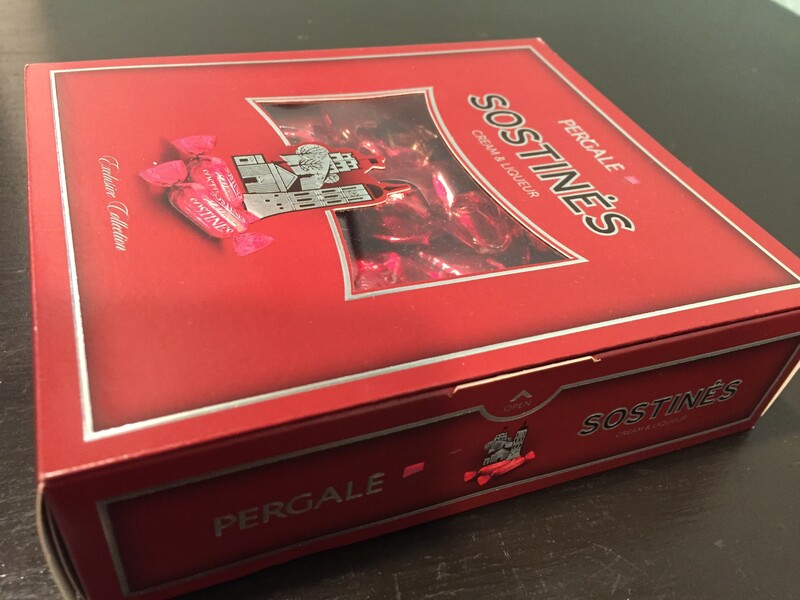 I also saw quite a few boxes of chocolates that were gifted to the doctors and nurses. 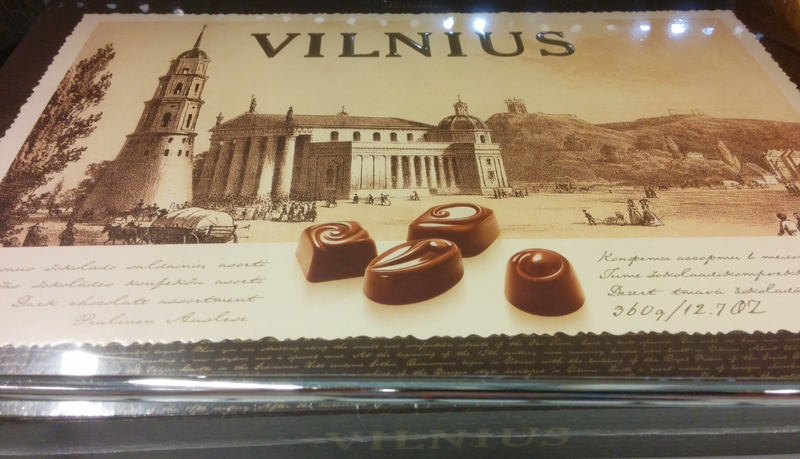 The less expensive chocolates were often shared immediately, while the ones from gourmet chocolate stores in Vilnius would be quietly taken home. Sometimes, these boxes were paired with envelopes that contained money destined for doctors’ pockets. At the end of the week, when many patients were discharged, boxes would pile up on desks and shelves. Residents and interns, constantly on the run between the ER and the hospital’s multiple units, consumed most of these chocolates. They saved leftovers for night shifts and gave chocolates to their fellow residents. At other times, boxes were left unopened: the medical staff had been saturated with too many, were too busy, or were (possibly, I thought) inhibited by my presence. Stories about giving, anxiety, humiliation and gratitude in medical encounters are a shared memory and a present practice in Lithuania. I am not innocent of these practices. My mother worked at a hospital during Soviet times in Lithuania and occasionally brought home sweets that she had received from discharged patients. When my father was sick, she took gift bags and envelopes with money to the medical staff. At the cardiology unit, giving and taking – however ambiguous – constitutes a form of life and caring of Lithuanian public health. Things, money, and people are enmeshed within these circuits and constitute a specific form of enveloped care. “Little envelope” – vokelis – is the most common form of handing money to doctors in public health care. The envelope with money, along with boxes of chocolates, cakes, and other food items, carries more than just money or sweets. It encapsulates the linkages between notions of health, relation to medical power, belief, hope, vernacular history, and political economy. It is not only an economic transaction, but also an aesthetics of communications and a form of care embedded in social relations and driven by webs of obligation that both exceed and are included in notions of the gift, the commodity, or the bribe. 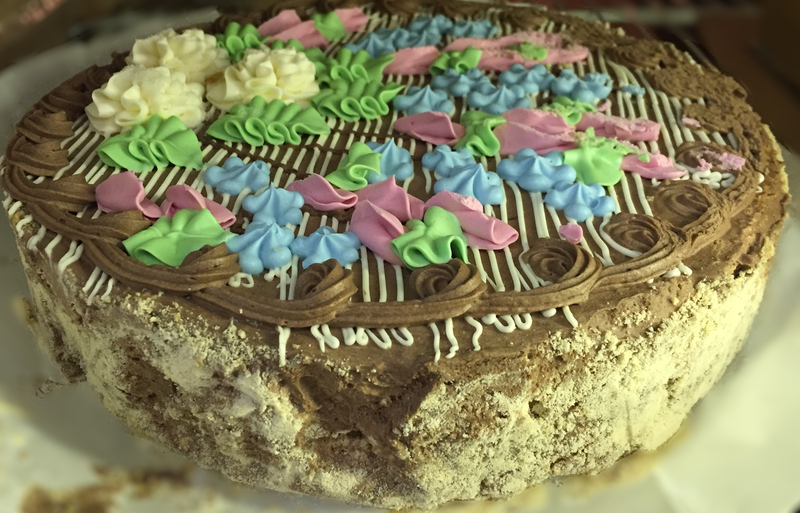 We might understand Galina’s cake to be a sign of gratitude, a gift given after hospital care was received. Yet, chronic patients, like Galina’s husband, will be returning to the hospital. The temporal markers – before and after – that are often applied (by doctors, patients, and anthropologists) to distinguish gifts from bribes cannot be applied in illness encounters. “After” is also “before” for the sick and their caretakers. While observing the work of doctors and nurses and their interactions with patients and their social networks, I realized that accepting these “thank yous” was as complex as giving them. The cake case is an example of such tensions. Cakes or envelopes with money can be both signs of attention and expressions of sincere gratitude for the nurses and doctors. They might also be neither, but rather an expression or display of care towards the patient. Both and neither. The encounter I described might be read as an economic transaction where the cake is exchanged for a bag of diapers and compassion. Indeed, medical practitioners’ act of giving diapers and medications to Galina resembles a way “to settle accounts,” to acknowledge and make exchange and reciprocity visible, to prevent Galina from bringing another cake in the future, and thus continuing the pattern of her relationships with the doctor, nurse and the aid. However, Galina’s encounters do not fit within these rational logics of exchange. Galina, like other caretakers, was concerned about being a caring wife, daughter, or friend. Giving the cake was a way of caring for her kin as well as for the doctors. Both and neither: breaking the logic of equivalence and staying within it could each, at once, be true. Galina’s cake was indeed very tasty: not too sweet and not too rich. It was a special cake, different from other cakes shared by medical staff at the unit. The story of Galina and her husband was embedded in it. On that day, the cake was shared with other medical practitioners who came into the unit. At the end of the day the nurses and doctors took the leftovers of Galina’s cake home to their own children, along with bits of an ongoing story. Things and money have been an important part of clinical relationships in other post-socialist contexts as well. See, for example, E. Andaya, 2009, “The Gift of Health. Socialist Medical Practice and Shifting Material and Moral Economies in Post-Soviet Cuba,” Medical Anthropology Quarterly, Vol. 23, Issue 4, pp.357-374; M. Bazylevych, 2010, “Prestige Concept Reconsidered. Hybridity of Prestige in Post-Socialist Biomedical Profession,” International Journal of Social Inquiry, Vol.3., Number 2, pp.75-99; J. Patico, 2002, “Chocolate and Cognac: Gifts and the Recognition of Social Worlds in Post-Soviet Russia,” Ethnos 67 (3), 345-368; M. Rivkin-Fish, 2005, Women’s Health in Post-Soviet Russia. The Politics of Intervention, Bloomington and Indianapolis: Indiana University Press; A.M. Salmi, 2003, “Health in Exchange. Teachers, Doctors, and the Strength of Informal Practices in Russia,” Culture, Medicine, and Psychiatry, 27: 109-130; S. Sabina, 2012, “Neither Commodities Nor Gifts: Post-Socialist Informal Exchanges in the Romanian Healthcare system,” Journal of the Royal Anthropological Institute (N.S.) 18, 65-82. R.Praspaliauskiene, 2015, Enveloped Lives: Giving, Caring and Relating in Lithuanian Health Care, PhD Dissertation, UC Davis. Rima Praspaliauskiene received her PhD in the UC Davis Anthropology Department. Her dissertation, Enveloped Lives: Caring, Giving, and Relating in Lithuanian Health Care, is an ethnography of health care practices in post-socialist Lithuania in the times of neoliberal reforms. Her research investigates relationship between health, care, and money. Currently she teaches anthropology at Mills College. She can be reached at rpraspal@gmail.com. Praspaliauskiene R. The Case of the Cake: Dilemmas of Giving and Taking. Somatosphere. 2016. Available at: http://somatosphere.net/2016/the-case-of-the-cake-dilemmas-of-giving-and-taking.html/. Accessed April 24, 2019. Praspaliauskiene, Rima. 2016. The Case of the Cake: Dilemmas of Giving and Taking. Somatosphere. http://somatosphere.net/2016/the-case-of-the-cake-dilemmas-of-giving-and-taking.html/ (accessed April 24, 2019).